Back in late February, when the world started to seem like it might have a temperature setting other than “cold,” we had a look at the Misfit Shine, and found it to be a versatile, capable device, even if it was a bit hard to actually get started with. 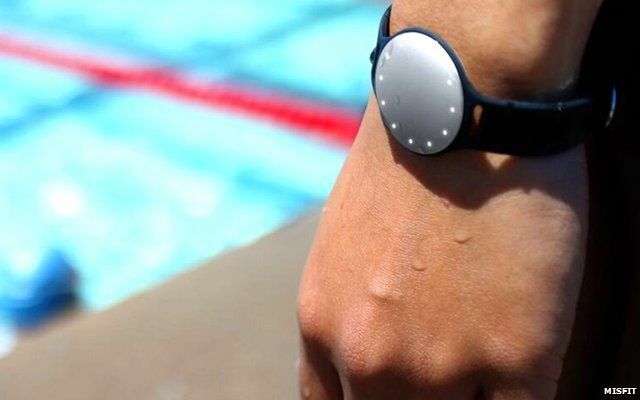 Now, Misfit's called in a little help from Speedo to bring out the new Shine, a device that's more specifically geared toward the pool and tracking laps. It's an interesting time for Misfit right now; this new launch actually comes just a few weeks after Fitbit—one of the biggest competitors Misfit can rank, according to reports—went public amid a first quarter profit of about $400 million. But Misfit isn't taking this growth lying down; the company, according to CEO Sonny Vu, is actually outselling Fitbit in China, and Chinese sales account for about one item in three sold. The company has sold an impressive two million trackers total for the last year and a half, and now this move looks to break Misfit into a whole new market. Misfit's new partnership is new ground; though it isn't the first time the company has partnered up—it was previously seen working with Nest to integrate some of Misfit's products with the Nest Thermostat—it is the first time, reportedly, that the company is developing a product for a specific use case. That's going to prove pretty appealing, if only to a market that might best be called “niche,” but a device that comes in at roughly the same size as a United States 50-cent piece with six months of battery life is generally welcome. For those interested in picking up more about the fitness tracker field, and about wearable technology in general, there's a great reason to get to Las Vegas right now. Currently, the Wearable Tech Expo is running at Caesars Palace, and will continue to do so through tomorrow. Those who can make the show today will be able to catch addresses like “Which Wearables Will Become Part of Everyday Life” and exhibits of new technology in the field will be on display throughout. Throw in some terrific opportunities for networking in the wearable tech field, and there's all sorts of reason to be in on the action. While some might say fitness trackers are on the way out, the Speedo Shine is geared toward a specific subset of users. It's a specialist tool, and specialist tools are seldom unwelcome by those specializing in that area. This is especially true if the tool is particularly powerful, and knowing what we know about the Misfit Shine, the Speedo Shine is likely to be a very strong contender. Hopefully the partnership has made it a little easier to install a battery and pair the device, but still, this should be a major new release. Swimmers are likely to welcome this tool, and should look into having one on hand.